This is a five reel, three row, twenty five payline game made in the classic style by Eyecon, set within the fantasy realm and carrying the aura of a fairytale. Free spins and multipliers are on offer as bonus features, with an RTP of 95%. This much loved, traditional game is best played at UK Slot Games, where you can also play over 600 slot games, including ‘Starburst’, ‘Rainbow Riches’, ‘Fluffy Favourites’ and ‘Bonanza’. Everybody knows the story of the princess and the frog. It’s a fairytale that all of us either read or were told directly during our childhood, and it’s been used as the basis of many a film; even reappearing in recent years as a big budget Disney production. Girl meets frog, girl kisses frog, frog becomes prince; this is a tale as old as time, and with that comes a timeless charm that gives it a universal appeal. That makes it an ideal backdrop and theme for a successful slot game; which is exactly what Enchanted Prince is. In the process of trying to find a new favourite slot game, to borrow a phrase from the fairytale, sometimes you have to kiss a few frogs. If you’re looking for a relaxed experience that isn’t going to give you a headache or send you reaching for an instruction manual, your days of kissing frogs might be over now you’ve found Enchanted Prince. Simplicity is the name of the game here. Sometimes, it’s nice to have a well-done slot game that isn’t crowded with a hundred extra features, more bonuses than you can count, confusing winning combinations and animations that can break the focus of your concentration. Eyecon are more than capable of making hugely complex games for the sort of player who’s looking for a video game style experience, but they know that there are plenty of gamers who just want something more relaxed, and so they’re catering to them with Enchanted Prince. The gaming experience takes place within an enchanted pond somewhere in an idyllic land of fairytale castles. There’s an almost Celtic feel to some of the visuals; especially when it comes to the design of the playing cards which make up the lower value symbols on the reels. Along with the cards, there’s also a lily pad and a white flower than can bring you up to 800 coins, a precious red gemstone with a value of up to 1,400, and the fairytale castle itself which can be worth up to 1,800. All of those symbols are small-time, though, compared to the blonde haired princess who’ll bring you increasing rewards dependent upon how many times she appears on your reels. Land two, three, four or five princesses and you’ll receive ten, one hundred, five hundred or two thousand four hundred coins as a reward. 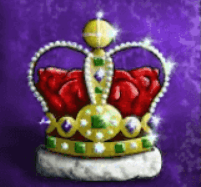 Throw in a charming crown - which could belong to the prince or the princess - as a wild; that will substitute for everything other than the scatter symbol, which of course is the frog himself. He was always bound to turn up eventually! Find a winning combination that includes the wild, and your payout will double. There’s a cuteness and innocence about the game, which make it the perfect online slot to play if you’re looking for a relaxed, laid back game. This is deliberately a laid back, low intensity game that doesn’t require much in the way of learning or reading to understand. Eyecon want you to be able to pick it up and play it as soon as the game’s loaded, and that’s reflected in their approach to the bonuses; there is only one. Don’t worry though, it’s a good one! 1. Free Spins: Free Spins actually comes as a dual offering; find three, four or five of the frog scatter symbols and you’ll receive 15, 20 or 25 free spins in return; this automatically combines with a payout of five, ten or fifty times your total stake. It’s a free spin game and a multiplier in one. Simple, but effective! Anyone who knows and loves online slots will need no introduction to Eyecon Games; they’re one of the biggest names in the industry, and they have a well-earned reputation for quality. They actually started life making regular video games, which probably explains the video-game style quality and innovation that their slot games often feature during bonus rounds - although they don’t do that every time, as evidenced by this game. They took their time to get it right, and didn’t put their first release onto the market until they were sure they had a hit on their hands. That was 2003’s ‘Temple of Isis’, which is still popular with players today. One of their key strengths has been to make games that are designed to last for a long time; instead of hopping (if you’ll excuse the frog pun) into the latest trend, or building games around a theme that will only be popular for a year or so, they create games with the intention that they’ll have a timeless appeal, and keep players coming back year after year. Even if you’ve never heard of Eyecon by name before, you’re probably familiar with their most famous and lucrative game; Fluffy Favourites; which continues to take the gaming world by storm, and is also available to play right here at UK Slot Games. We’re not sure that playing this slot game will help you find romance in any way, shape or form, but we doubt that you came to ukslotgames.com for that purpose anyway. What it does have the potential to do is win you some money, and when it comes to online slots, that’s all that matters! Sometimes, having a vastly successful game makes it a certain thing that the game will have sequels and spin offs using the same scenery and characters, and using the title of the original game as if it were a brand name. Other times, even though that might seem like the most logical thing to do, the developer just decides not to do it. Enchanted Prince has been on the market for quite a while now, and yet there’s no sign of a formal sequel in the pipeline. In fact, the only Enchanted Prince 2 that exists anywhere in the world is a Nigerian movie. There’s no connection between that and this online slot! It does, however, have two spin off games available. This, like the name suggests, is a jackpot version of the original game. Every single feature of the original game remains the same, but the volatility, RTP and maximum payout of the original has been adjusted to turn it into a jackpot feature. That means volatility is up, and the RTP is down to 90%. Of course, in return for that, your potential winnings are far higher, as is the case for any self-respecting jackpot game. The idea behind this variation of the game has been given away in the title, too! Neither of the other games in the Enchanted Prince family alter the fundamental design or features of the game in any way, only the volatility, the RTP and the maximum prize available. If you’ve played the original game, you know how to play both of the others without making any adjustments to the way you play whatsoever; with one exception. This version of the game also features a ‘Gamble’ bonus which you can invoke any time you make a win. You can either double or lose your winnings by picking one of the cards that subsequently appears; a standard feature you’ll likely have seen in several games before. There are three progressive jackpots available; and they can randomly activate on any spin regardless of whether you’ve found a winning line or not. They’re worth £50, £500 or up to £25,000 respectively. If the appeal of a straightforward game that has symbolism that speaks to the child in you is your thing, though, you might want to consider another Eyecon title that has a vaguely similar theme. This will take you all the way back to your days of going to bed with a favourite soft toy, or plucking one from inside a glass cabinet in an arcade using a claw. That’s an experience you can even repeat inside the game; it’s one of the bonus rounds! Fluffy Favourites is a game that’s spawned a whole family of sequels and related titles; it’s something of a legend in the online slots world. It may not be directly related to Enchanted Prince; this is firmly set in the world of toys rather than fairytales, but it still has the same spirit of simplicity and innocence to it which may appeal to you. 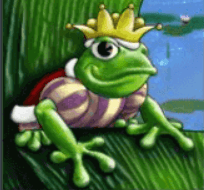 Given that the tale of the frog and the prince is such a well known and popular tale, you’d expect there to be more slots based around the tale, so it might surprise you to find out that there aren’t. It’s not just about the popularity of the story, either; when one game developer creates a popular slot, other developers tend to create something at least vaguely similar themselves in an attempt to cash in on the popularity of the original game. Right now, there are only a few titles that are close to Enchanted Prince out there on the market, but here they are in all their glory. This Quickspin title takes an out and out cartoon approach to representing the fairytale, with a graphical style that probably owes more than a little of its style to the Disney Pixar movies. Much like the Enchanted Prince slot, this is a game that focuses on playability rather than multiple layers of complexity; bonus features are limited to wilds, scatters and free spins in exactly the same way they are with the Eyecon game. There are forty different paylines, so it offers more ways to win. We don’t find the style of the game to be as charming or innocent as Enchanted Prince, though. This is an online slot with a bold, on-the-nose title which tells you exactly what the theme is before you load it. The visuals are just as bold, with very solid, bright colours and a three dimensional animated style. It looks great, but some might find it a little limited in features; there is no free spins bonus, no multipliers and no scatter symbol either. The desktop version of the game offers an impressive 100 paying lines, but the mobile version has been stripped of some of the functionality, and therefore only offers twenty. Frog’s Fairy Tale: Novomatic also have a slot game on the market inspired by the princess and the frog! Instead of the sense of childlike wonder you might get from playing Enchanted Prince, though, this one’s looking to tickle your funny bone. There’s a definite focus on humour, right down to the frogs belching every time they swallow a meal of flies. We’re not sure a princess would want to kiss them after that! There are twenty paylines to be found across the game’s five reels, and no less than eight separate bonus features. That might appeal to some gamers, whilst others might consider it to be at least three too many. Because it’s such a basic game, with no flashy or resource-demanding features, you would expect Enchanted Prince to translate to mobile gaming very well. You’d be right. When accessed through a smartphone or a tablet, Enchanted Prince loads via Eyecon’s specially adapted mobile gaming software. Every sound, image and animation from the game makes it across in the translation; nothing has been lost at all. It even manages to look good when displayed on a device in portrait mode; many online slots don’t cope well with that type of screen restriction, and shrink either the buttons or the play area to compensate. Instead of doing that, Enchanted Prince keeps the play area the same size and relocates the buttons to make sure that the play area is always maximized. That means you can always clearly see what’s going on, and you’re never struggling to locate the right button. If you’ve played Enchanted Prince on your laptop or desktop and enjoyed it, there’s absolutely nothing that would prevent you fro enjoying it exactly the same way on a tablet or smartphone. There’s no difference at all, other than the fact you’re using your fingers instead of a mouse. It’s a game that’s been out for a while now, and it’s not the kind of ultra-modern slot game with a thousand features that tends to attract the interest of the gambling press. For that reason, it’s all been quiet on the Enchanted Prince front in terms of news recently. Don’t let that put you off, though. First of all, there’s the old saying of ‘no news is good news’; unlike some other slots, Enchanted Prince hasn’t had its name dragged through the press recently with the accusation that it’s being marketed to children, which is a charge that’s been levelled at some other popular online slots. Secondly, not everything has to make headlines in order to be great. Just like some of the greatest bands, and the greatest films, they don’t need the profile in order for people to know they’re great. Enchanted Prince doesn’t need a lot of press coverage for people to come and play it; it already has a devoted player base, and the fact that it’s such a popular choice on so many online casinos speaks volumes. 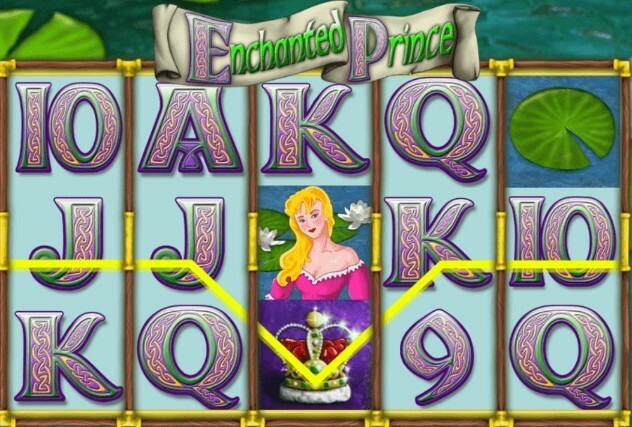 Why Is UK Slot Games The Best Place To Play Enchanted Prince? If this review has given you an urge to get in touch with the land of fairytales, and see if you can kiss a few frogs to find out whether there’s money hiding behind them, we’re glad. It’s a great game set in a cosy, comfortable land of make believe, and it can make a welcome change from playing some of the more bold and brash slot games out there. If you’re considering giving it a try, we want you to stay right here on ukslotgames.com and play it with us. You’re probably wondering what makes us better than the numerous other online slot websites who offer the game, and so we’ll tell you. Firstly, this is about more than just Enchanted Prince. We recognize that it’s a great game, but we also have so many other great games that might appeal to you. We have over 600 popular online slots available for you play, and we stand by them as a selection based on quality and fun. Most websites can’t offer you that kind of variety or range. If you’re bored of playing your usual slot game, there’s always a new one for you to find on UK Slot Games. Secondly, we don’t force you to deposit money when you first sign up. Everybody is welcome to make an account, and you can then browse our entire catalog to find a game you really want to play before you hand over any money. Enchanted Prince is a fine place to start, but there’s no reason to stop there! In fact, we do the opposite of forcing you to hand over money. When you sign up, you could win up to 500 free spins on our games just for doing so!